Technology & business leaders now understand the power of big data analytics—but few are able to harness that power in the most efficient manner. Importance of Big Data is now growing and it is considered cornerstone of strategy to create a competitive advantage. As analytics grows in redefining enterprise resources, many companies are evolving beyond just using analytics and are transforming themselves to build an insight-powered enterprise. Big data analytics transformation begins with building a clear picture with the business strategy and use cases. It is important to partner with right Big Data solution providers, ask right questions which serves as the first critical step towards big data and advanced-analytics transformations. Equally important is to analyze your value drivers and capabilities against the competition to develop a futuristic vision. Big data analytics solutions need to take into account not just voluminous quantities of data, but also grow with data volume. While we are surrounded by data-centric devices, designing for rapidly changing volumes of data is the key to success. New data can access large volumes of data, diverse sources of data, agile development with rapid time-to-value, and a highly branded, engaging personalized user interface that integrates with other corporate apps add to the challenge. Analyzing and understanding the business objectives and organizational goals is the first step that must be carried out even before implementing big data analytics into your projects. The business users should prioritize and decide which projects in their company must use big data analytics for increased ROI. To provide services to users and create an impression on their minds, it is required to understand user needs. Ultimately, everything boils down to examining insights gathered from different sources such as from social networking sites. 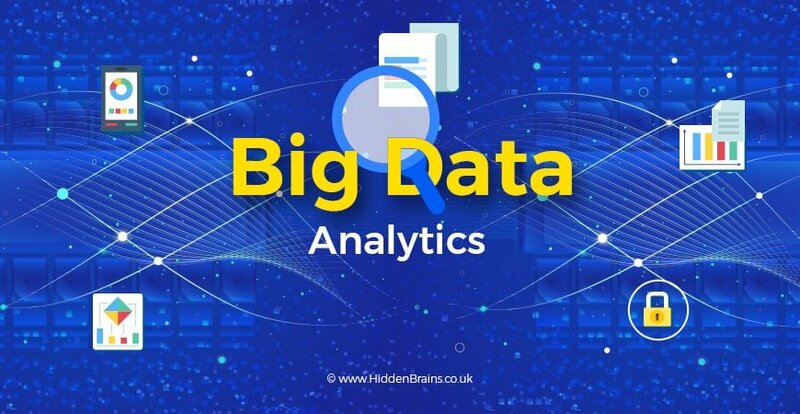 With the help of Big Data Analytics and Machine Learning tools, it is easy to group the data under different categories and predict the next step to be taken through the data. Identify the type of data being collected by the organization, as well as, data which is generated internally. It is mainly observed the data which is collected is disorganized and often comes in varying formats. Moreover, some data is never even fully explored to gain business advantage, and it is essential that organizations identify this type of data too. It is important to analyze and understand what is missing upon collecting the data for a project. This will be possible based on identifying information required for any given project and where it can come from. For instance, if you are planning to implement big data analytics to understand and decipher the wellbeing of your employees, you will need additional information related to employee’s vitals or stress levels in addition to medical reports. Analytics powered mobile applications can transmit data worldwide and in real time. Enterprise apps aim to empower business organizations with actionable insights on smartphones and tablets in real time and all over the world. Big data apps set free enterprises of using conventional methods of sharing information on clipboards among field workers. Mobile apps can generate business intelligence based on present and future conditions. One specific category of big data applications that is experiencing phenomenal growth is streaming apps. Big data streaming is a speed-centric approach where a steady and continuous stream of data is processed. Streaming apps produce and process data in real time. Extracting insights from streaming data requires a complex system with many moving parts, but inside is the potential for actionable strategies. Real-time processing is no longer an innovative concept. However, the ability to run real-time apps reliably and at large scale is a daunting task. The development of Open Source technologies such as Kafka, Spark, and HBase have empowered developers to create scalable apps which reliably functions in real-time, further improving proliferation and business value. With 90 million transactions a week in 25,000 stores worldwide, Starbucks the coffee giant epitomizes cutting edge ways to use big data and artificial intelligence to help make strategic business decisions involving direct marketing and sales. The mobile app has more than 17 million users and the reward program has 13 million active users creating an overwhelming amount of data regarding customer preferences and buying pattern that can be converted into special promotions. Starbucks recommends new products to try. This helps the company to send personalized offers and discounts that go connect with the users than generic discounts given on birthdays. This tool evaluates massive amounts of data, such as proximity to other Starbucks locations, demographics, traffic patterns and more, before recommending a new store location. In order to chart out an effective big data application strategy it is important to be aware of the data available with organization and what is being done with it. Always evaluate the health of your data at regular intervals and keep an eye on important hidden signals in the data. Before implementing any new technology in your organization, it is vital to have a strategy that will help you extract value from this data. If your business is looking to gain actionable insights from Big Data, get in touch with our team today.